This is a powerful and compelling account of the descent into war and its terrible consequences. Dedicated to the victims of the Kosovo conflict, this work is a contemporary example of a mass based on the 15th-century French song "L'homme arme." 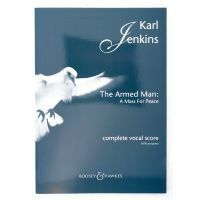 Set within the framework of the Latin mass, The Armed Man is a major choral work which uses both sacred and secular texts.